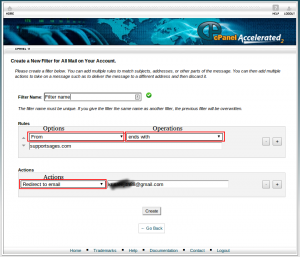 Account level filtering is a feature provided in cPanel to filter e-mail based on rules. E-mails can be filtered in account level; i.e., mails to all email accounts on the domain can be filtered. Mail filtering can reduce spam messages by discarding/rejecting them according to the rule-set. There is a default account created in cPanel in the format “username@domainname“. This account can not be used to sent mail. There is also User Level Filtering in cPanel which allows to filter mails for each email account. This is different from Account Level filtering because User Level filter applies only to the specific mail account for which it was created. But Account Level Filtering affects all the mails coming to that domain. 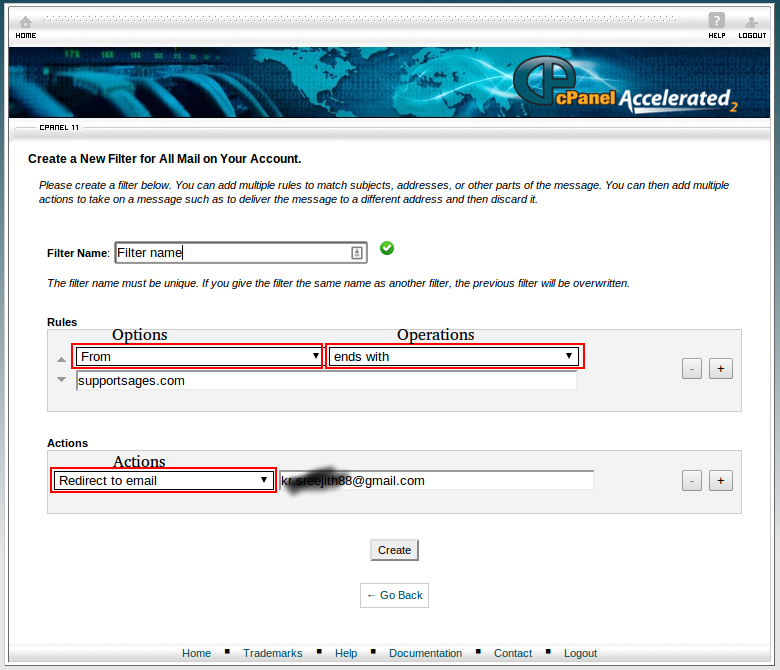 Filters can be configured from cPanel >> Mail >> Account Level Filtering. Options: These are the conditions that can be used to select the mail. Operations: These are the way in which the options are matched with a mail to check if it satisfies the conditions. Several operations and options can be combined to create a large complex filter. Actions: These are the action to be taken/applied to the mail which satisfy the filtering condition(s). From : Address from which the message was sent. Subject : The subject line of the message. To : Address to which the message was sent. Reply Address : Address to which the reply will be sent. Body : Body, or content area of the message. Any Header : A header of the message. Any recipient : A recipient of the message. Has not been previously delivered : Affects messages still in queue for delivery. Is an error message : Affects error messages received from an auto-response system. Spam Bar : The content of the Spam Bar header that SpamAssassin has generated for this message. This header contains plus (+) signs to denote the likelihood that the message is spam; more plus signs means the message is more likely spam. Spam Score : The overall spam score assigned to the message by SpamAssassin, expressed in digits. The spam score correlates to the number of plus (+) signs in the Spam Bar header. equals : Exactly matches the string you define below. 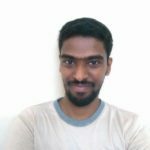 matches regex : Matches a regular expression defined below. Contains : Contains the string you define. does not contain : Does not contain the string you define. begins with : Begins with the string you define. ends with : Ends with the string you define. does not begin : Does not begin with the string you define. does not end with : Does not end with the string you define. does not match : Is not equal to the string you define. Following are only applicable when the Spam Score option is selected (numeric value only). is above : Scores greater than the number you define will be subject to the action. is not above : All scores equal to or less than the defined number will be subject to the action. is below : All scores below the defined number will be subject to the action. is not below : All scores greater than or equal to the specified number will be subject to the action. Discard Message : Destroys the incoming message with no failure notice. Redirect to email : Redirects the message to another email address that you specify. Fail with message : Discards the message and automatically returns a specified failure notice to the sender. Stop Processing Rules : Skips all filter rules. Deliver to folder : Deposits the message into a specified folder. Pipe to a program : Sends the incoming message to a program you have specified. This option is only available via Account Level Filtering (not User Level Filtering), for security reasons.